VIP Holbox Experience / Holbox Whale Shark Tours: the best and the most professional travel agency on Isla Holbox. We have the highest quality standards. We know how your stay in Holbox is important to you and we strive for excellence to give you an experience you'll remember all your life. Our office is located in the heart of Isla Holbox, on the Gulf of Mexico. Just a short two-hour drive from the Cancun Airport and the Riviera Maya Resort areas. 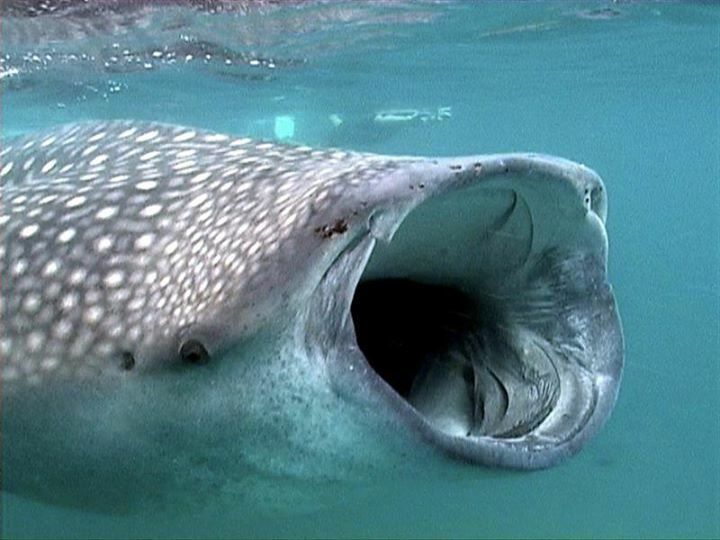 We are proud to be one of the first companies ever to do the whale shark excursion on Isla Holbox. snorkeling gear & life jacket or wetsuit for experienced swimmers. BREAKFAST: Have a great start at Luuma with a light breakfast including coffee, tea, fruits, yoghurt and sweet buns. Where our professional staff give all the required day’s information & safety briefing. AFTER-SWIM SNACK: Delicious “After-swim sandwich” on wholegrain bread with ham, cheese, vegetables & dressing. We provide a taxi pick-up from your hotel if it is out of walking distance. Get ready for an unforgettable day. We meet in Luuma at 7. We have a small briefing, give you the necessary equipment, and offer you a light breakfast to have a great start. Then, we walk to the pier, where our boat is waiting to start our journey to find the whale sharks. The trip will take us between one and two hours and we may find different species on our way (if we see a giant manta and its behavior permits it, we can also swim with this harmless creature). Once in the area, we will swim by the whale shark in groups of two plus the guide, for safety reasons and to ensure you get the best experience. On our way back, we will stop near Cabo Catoche to snorkel the “cuevones” reef and maybe see sea turtles, nurse sharks, lobsters, squids, octopuses, and different reef fish. During our journey, we will get some catch of the day from a fisherman and prepare the freshest ceviche. Finally, we will go to Santa Paula, where we can stretch our legs, have a pleasant swim and enjoy our ceviche. From this point, we have a 45-minute journey back to Holbox. A first payment of 50% is made at the time of booking. The balance of the payment is made on the same account as the deposit 72 hours prior the tour. All reservations are confirmed by email when booking. You will also receive a reminder two weeks and 48 hours before your tours. Cancellations prior to 48 hours of swim date get a full 100% refund. Cancellations at a minimum of 24 hours receive a 50% refund. Cancellations under 24 hours and "no shows" are NO refunds. $0 refund. Children under 6 years old are not allowed. This trip is not recommended for pregnant women, the elderly and/or people with back problems, because of the type of movement the boat might have. In such cases, we will ask for a medical certificate to allow participation.